Go FLYKICK, It's Your Birthday! In March we turned ONE, we celebrated for the whole month and then topped it off with a PARTY! To celebrate a whole year of FLYKICK, we went back to our roots and offered you the Anniversary Ten Pack. This was the offer that we first started with when launched into the big bad world back in March 2018 and we’re pleased that so many of you took advantage of it, smashing out 10 classes in one month - legends! Anyone who bought an Anniversary Pack was invited to join us for our studio paint party where we had an outrageous amount of fun letting out all our frustrations and punching the paint onto the walls FLYKICK style. 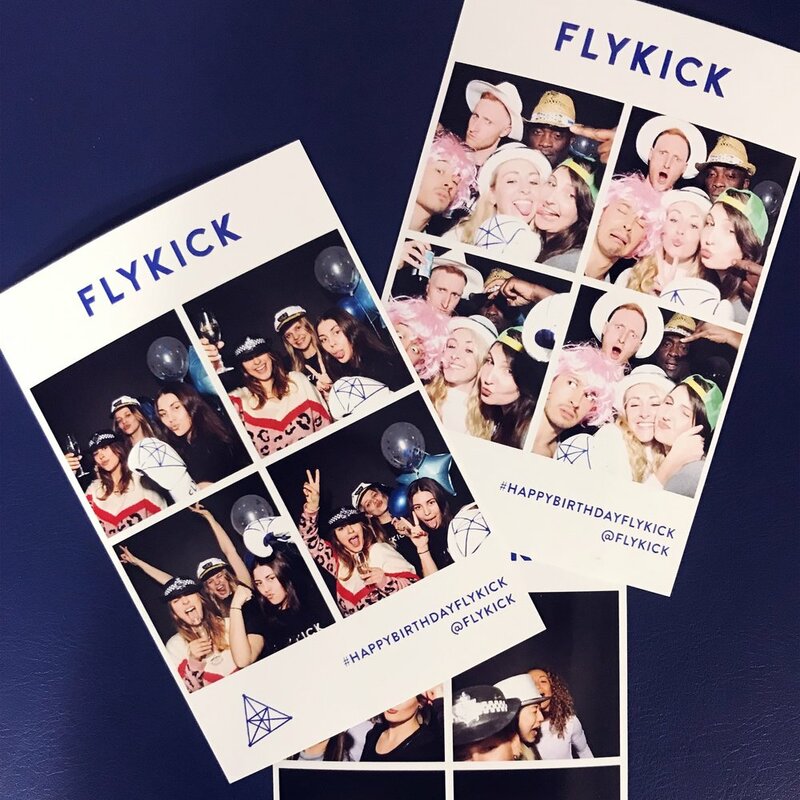 The celebrations were rounded off by a huge party here at FLYKICK, thrown with the help of some of our favourite brands: Equinox kombucha, Livia’s, PROPERCORN, Bounce Balls and a special shout out to The Refinery Regent’s Place for catering with their delicious canapés. New friends were made, countless ‘FLYKICK Special’ cocktails were consumed and some hilarious photobooth memories were created; we hope you had as much fun as we did! It has been a whirlwind year filled with such positivity and we are grateful to every single guest who has walked through those doors. This year we’re planning to continue growing in a BIG way and we can’t wait to share the journey with this insane community.